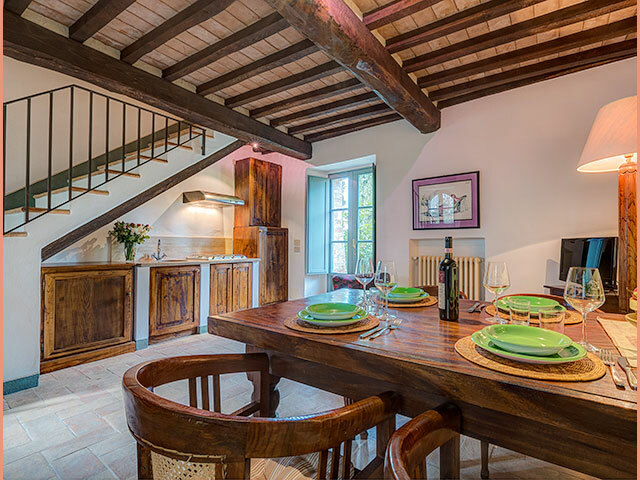 The small Residence „Castello di Orgiale“ offers our guests a quiet and comfortable stay in holiday apartments. The historic ambiance combined with the contemporary and pure style of refurbishment and decoration will offer you a special environment to relax and enjoy peaceful nature and the outstanding beauty of the Tuscan landscape. Enjoy the privacy of semi-detached holiday apartments with a daily breakfast buffet, personal contact with the hosts, the option either to remain private or to join other guests. 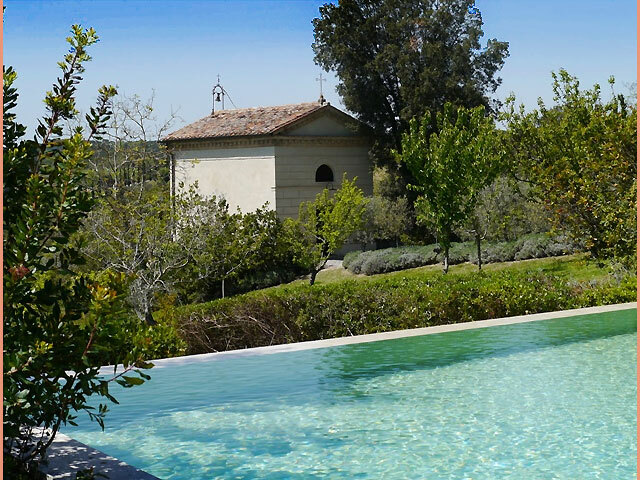 The spacious property of Castello di Orgiale includes the patio, swimming pool (10x10m) with a small sauna and the small holy chapel. The patio ist the main spot of interest for dining or enjoying a sun-downer. Occasionally the hosts offer dinner with wines of the Castello, suggested by the landlord. Availability and rate can be asked at your stay or in advance. On these occasions we offer our guests the chance to participate in local wine tasting and to be able to take part in enticing and interesting presentations on wine. Deckchairs around the 10 sqm sized pool invite to a sun bath overlooking the spacious lawn. Swimming pool: mt. 10 x 10. Teak loungers and beach chairs invite you to a nice tan, for a relaxing reading or to take a break in the silence of the countryside. It is an ideal place to meditate far from the noise of everyday life or for walking in a fairytale setting. The Castle is a place which, with its many different environments and its special atmosphere, never ceases to enchant those who stay there. The sun setting over Siena, the nightingale that softens the silence of the night or the fireflies, like a midsummer dream of a night dancing in the fields, leaving an indelible memory of the magic of the Castle. To act as a sentinel at the silent night of the Tuscan countryside, only the cypresses bound by the moonlight that it stands out the profile. The seven apartments are situated in the buildings around the landmark of the site, the old tower, surrounded by a number of old cypresses and the garden. The front side views to the central court, the patio. Most of the apartments provide private terrasses. The „Chianti“ region is called the soul of Tuscany. You will find the Castello in the southeast angle of the Chianti region on the border to the wilderness of the „Crete“. Take a walk of 10 min from the Castello to reach the village „Castelnuovo Berardenga“. The castle is also used for weddings, for which the religious ceremony can be celebrated in the small chapel. The reception at the edge of the pool and the party in the backyard or in the "Siena" room create unforgettable moments to the newlyweds and their guests. The Castello consists of the impressing tower and attached buildings embedded in a garden with olive trees, cypresses and lavender. It is fully surrounded by a typical tuscan landscape, i.e. vineyards and woods. Following the turmoils of a more than thousand years old history, the castello was forgotten and more of a ruin until today’s landlord, Bernd Gisy, acqired the castello in the middle of the nineties. 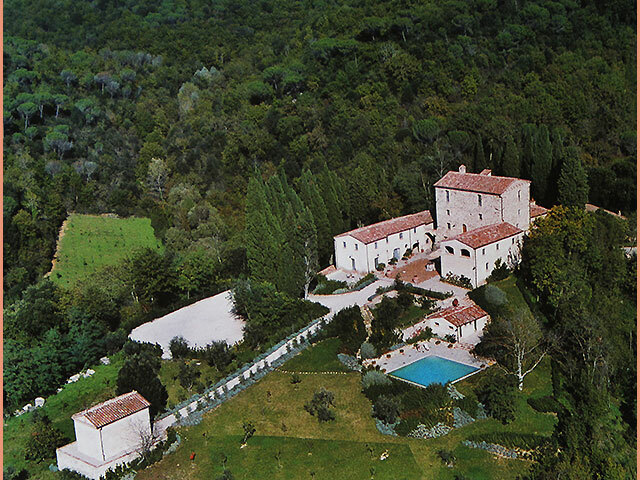 After intensive reconstruction works in the vineyard, the cellars and ultimately of the residence, the Castello was reopened in September 2000. The oldest historic documents mention the foundation of the Castello di Orgiale in 840 a.d. Originally meant to serve as a Tower to watch and protect during the intense and lasting battles between the rival provinces Florence and Siena, the site later was owned by the noble langobardian family „dei Berardenga“ . From the beginning of the second millenium, the site was extended by various buildings facilitating farming and crafting. It was far later that a new castello – donating the name to the village Castelnuovo Berardenga was erected in today’s center of the village. At the end of the ghibbelin fights, of which the entire region still gives witness today, the castello became a farming company, Agricola Castello di Orgiale.